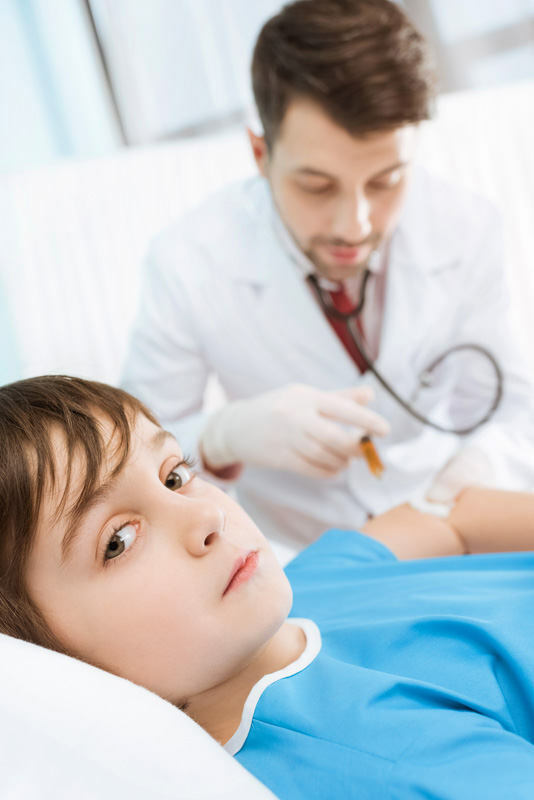 A new study by The Doctors Company analyzes medical malpractice lawsuits involving children. According to the research, the majority of complaints include allegations of misdiagnosis, which is generally defined as missed, delayed, or wrong diagnosis. The Doctors Company is a malpractice insurer owned by doctors. One of its goals is to advance knowledge to identify weak points in healthcare systems to reduce the risk of malpractice. Its researchers analyzed data from lawsuits involving children, up to age 17. For infants under one month, misdiagnosis was the second most frequent claim, while for children between one month and 17 years, it was the most common. After reviewing over 1200 malpractice lawsuits filed against doctors who had treated children between 2008 and 2017, researchers concluded that system failures like failing to communicate test results to other treating physicians and poor communication between doctors and patients’ families were some of the leading causes contributing to misdiagnosis. According to one of the study’s authors, Darrell Ranum, to prevent malpractice, doctors should communicate better with parents about which symptoms should raise alarm after children are dismissed from the hospital. Studies like this are an invaluable tool for hospitals and clinics to learn from their mistakes and implement policies and protocols to reduce risks for children receiving care. They are also useful for victims of malpractice and for their attorneys, to understand how doctors and healthcare systems fail and what factors may have impacted a specific case. Ranum and his team analyzed complaints against physicians in 52 specialties and subspecialties. Doctors specialized in obstetrics and pediatrics were the defendants in the largest number of lawsuits. 24 percent of the suits involved obstetrics and 15 percent involved pediatrics. Other specialties at the top of the list were emergency medicine (six percent) and family medicine (six percent). Psychiatrists were the least frequently sued specialists, accounting for only two percent of complaints. Radiology, general surgery, anesthesiology, and otolaryngology each reached three percent. On the other hand, 37 percent of the lawsuits ended with a payment to plaintiffs. The mean indemnity payment was $630,456. Malpractice claims involving newborns yielded the highest mean indemnity at $936,843. When it comes to the location where the alleged malpractice occurred, it was most frequently the doctor’s office or a clinic, labor and delivery rooms, and emergency rooms. Brain injuries were the most common consequence of the alleged malpractice for both young children and teenagers. The study also analyzed the incidence of death in malpractice claims involving children. “Patient deaths occurred in 13 percent of claims filed for neonatal patients, 30 percent for patients in their first year of life, 15 percent for children ages one through nine, and 13 percent for teenaged patients,” the authors wrote. Except for newborns (zero to one month), misdiagnosis was the main allegation cited in the malpractice complaints. In the case of newborns, the top claim was malpractice relating to obstetrics treatments. Identifying patterns in malpractice cases is key to holding those responsible accountable and to improving patient safety across all areas of healthcare. The Doctors Company’s research offers valuable information to understand malpractice trends in pediatric medicine. Its findings can be used not only to better document individual malpractice complaints but also to develop risk mitigation strategies. Joseph Awad is a well-known New York medical malpractice lawyer and founder of Silberstein, Awad & Miklos, PC.